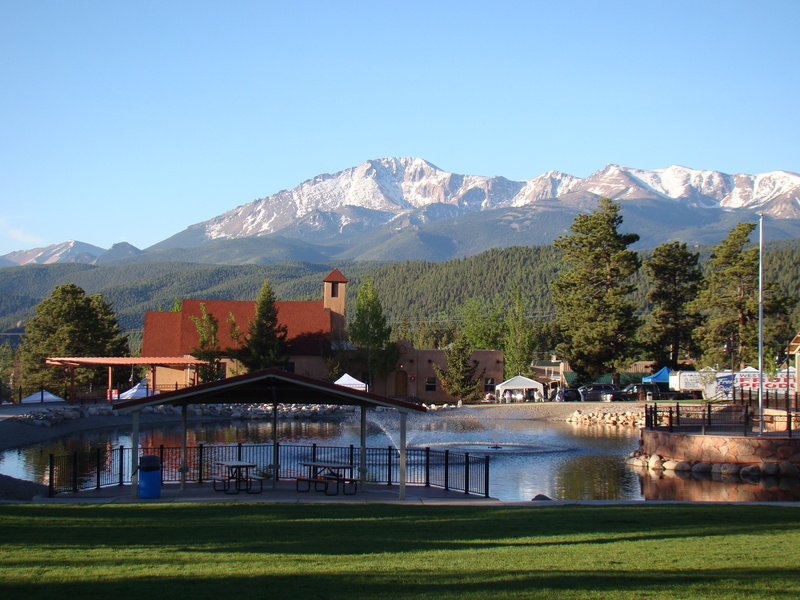 Known as “The City Above the Clouds” for its 8,400-feet elevation, Woodland Park is a small mountain town in Colorado surrounded by Pike National Forest and breathtaking views of Pikes Peak and Rampart Range. “The area is full of geographical interestingness. Within a 30 minutes’ drive I’ve been able to explore the Garden of the Gods, Seven Falls, and The Red Rocks Open Space,” said TDS’ Thor Libkie, system technician II. With so many mountains and forests around the town, the Woodland Park Chamber of Commerce created a guide to great hikes above the clouds. Locals and visitors alike enjoy Manitou Park Lake, with various hiking, camping, and fishing sites. Wildlife is vastly important to the region, and Colorado Wolf Adventures seeks to educate everyone on the misconceptions of wolves. Here you can participate in Wolf Walks (yes, you actually get to help walk a wolf), photos with wolves, and one-hour educational programs. 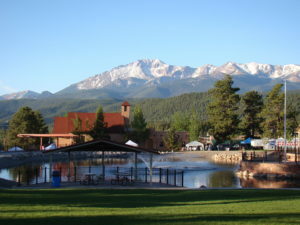 The summer months are extremely popular for Woodland Park, as it hosts numerous outdoor concerts and festivals surrounded by mountains and vast forests. With music, wine, beer, and art festivals throughout the summer, the city is always bustling. It has a year-round farmer’s market to promote local and organic agriculture. 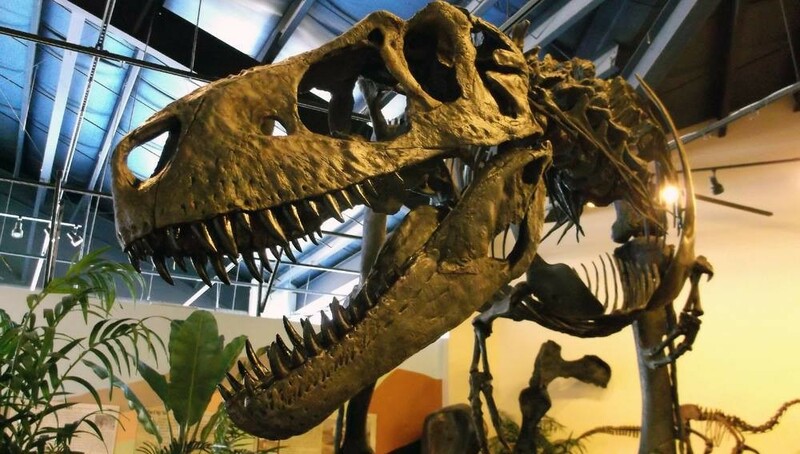 One of its most popular attractions is the Rocky Mountain Dinosaur Resource Center, a museum of all kinds of prehistoric animals. You’ll find real fossils and sculpture restorations. 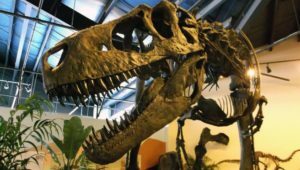 It features a fossil laboratory where archeologists discover new fossils and a variety of children’s exhibits and hands-on activities. For more history, visit the nearby Florissant Fossil Beds National Monument. Here there are petrified redwood stumps measuring up to 14-feet in diameter with preserved insects and plants within. “Woodland Park is supported by TDS and several of our customers are local musical artists, engineers, school officials, local restaurant owners, and long-time residents. It’s a relaxing mountain community loved by anyone who is fortunate enough to live here,” said Mariamne Livingston, customer sales representative of Retail. In Colorado, TDS has 163 employees and paid $11.1 million in taxes in 2016. If you’ve been to Woodland Park, what’s your favorite hiking trail or place to go? Woodland Park is an amazing area all year round! TDS has been a great asset also! Thank you TDS for your wonderful business and always helpful customer service, especially Debbie, who is always there to answer all our questions!